Ah yes I recognize them, you see them in the supermarket with the British Flowers label. Oh thanks a bunch, SUPERMARKETS, you win the battle of the florists YET again! Well that’s nice… at least people are recognizing our beloved British blooms in the world of ‘normal’ people. AHA! 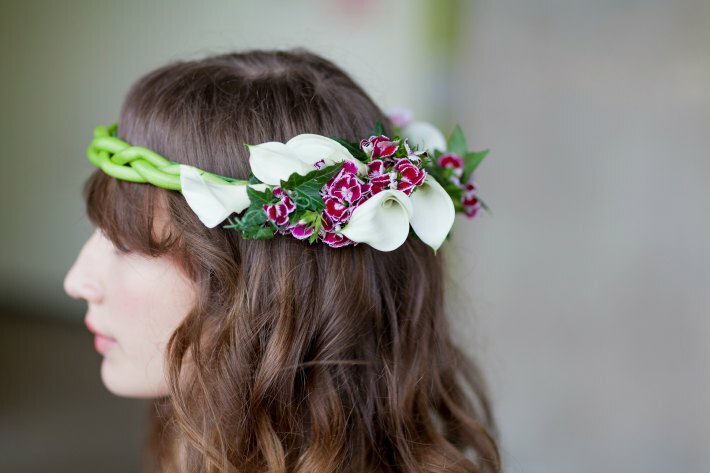 A chance for us to modestly tell the story of how we used Sweet Williams as one of the Famous Five florists for British Flowers Week back in 2014. And so began our wonderful walk down memory lane! Luckily, our Sweet Williams inspired story was met with plenty of ‘oohs’ and ‘ahhs’ from our friend. 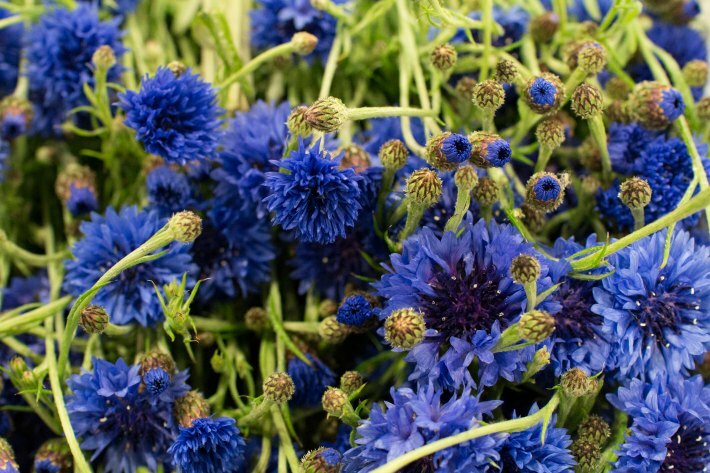 To elaborate, three years ago we were approached by the wonderful people at New Covent Garden Flower Market who invited us to contribute some floral designs for British Flowers Week. 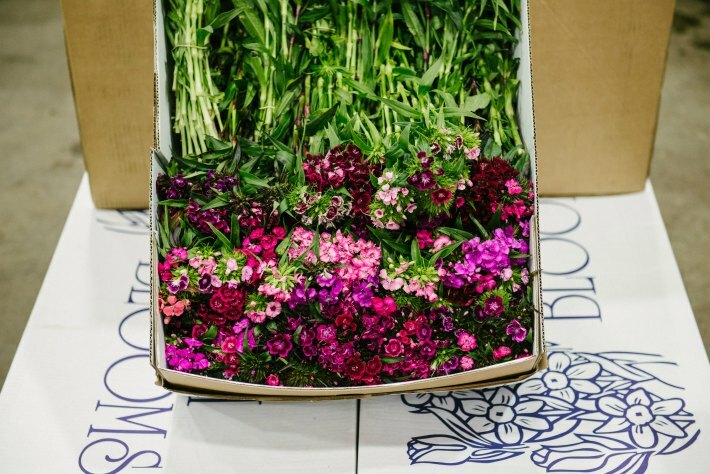 First launched in 2013, British Flowers Week is an annual event held in June that celebrates British flowers, their growers, independent florists and the UK cut flower industry as a whole. As such, we were thrilled to be invited to contribute some fabulous floral designs based upon our preferred choice of British flower. In 2014 we had the great pleasure of sharing this prestigious invitation with Simon Lycett, Okishima & Simmonds, Euphoric Flowers and McQueens. Over the course of the week, each of us was granted a day in which to showcase our favourite British blooms in all their glory. There were reds, pinks, hot pinks and whites and two-toned shades, along with bright green and purple; these were all in mixed bunches packed closely together, each tied with little elastic bands. I could not believe how pretty these little gems were, and decided then and there to take a couple of bunches home to my mum. They lasted nearly two weeks! Since then I have always bought the first bunch of Sweet Williams of the year and taken it for my mum; it’s turned into a sort of tradition. 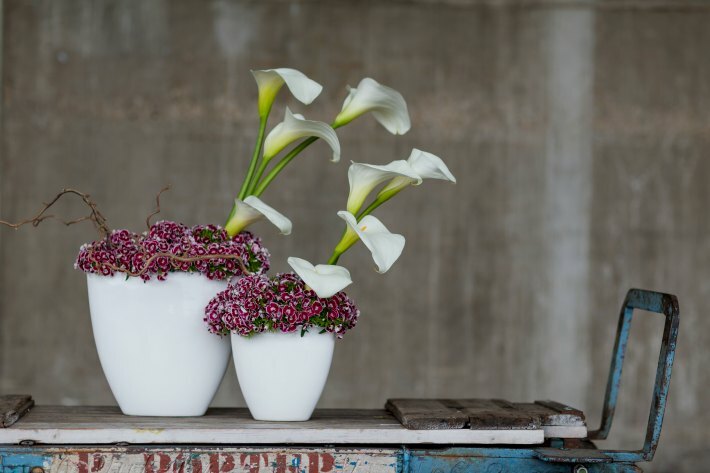 Even though our business has expanded and evolved over the years, at Hybrid Flowers we’ve always had a soft spot for tradition. 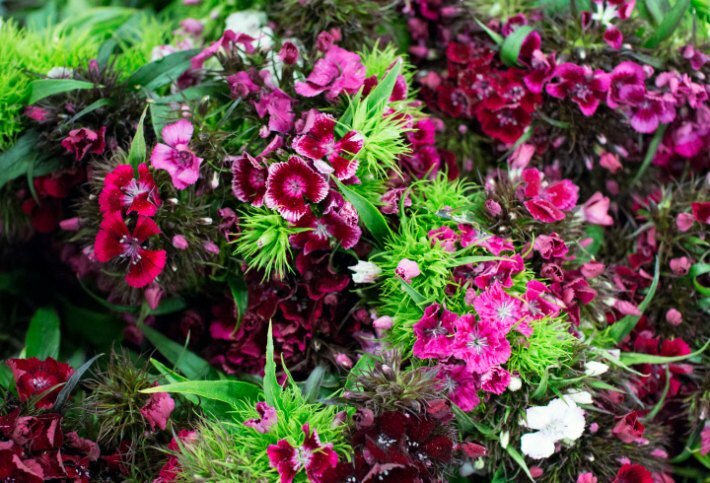 Consequently, our aim for British Flowers Week was to showcase the wonderfully nostalgic nature of Sweet Williams whilst also highlighting the ways in which these beautiful British blooms could be used in contemporary floral arrangements in order to complement the style and subtleties of modern city life. 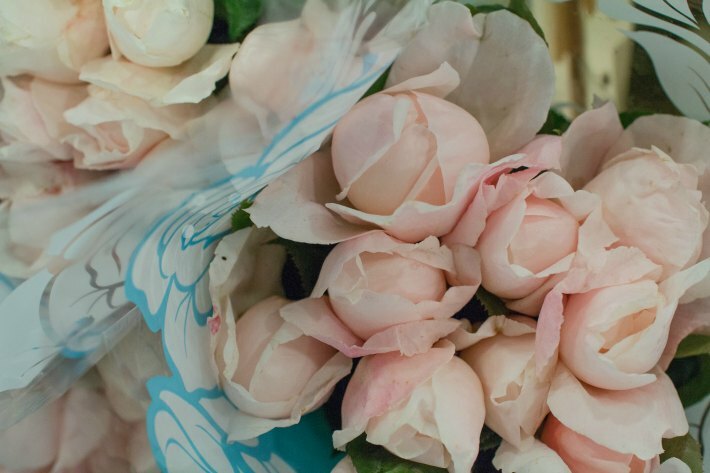 With these inspirations in mind, we set out to create three floral designs; for the workplace, for events and for weddings. Sweet Williams are the ideal blooms for these types of floral arrangements because they are long-lasting and incredibly pliable. 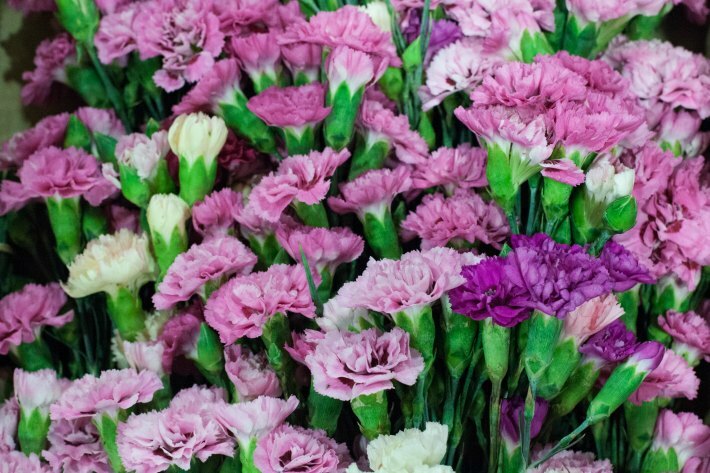 What’s more, the delicate look of Sweet Williams is simply stunning when they are grouped en masse! 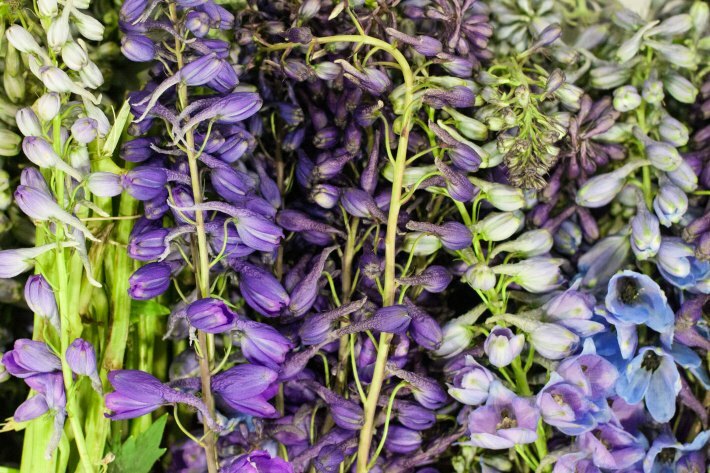 One of the best aspects of participating in British Flowers Week was the opportunity it granted us to showcase some of the nation’s most stunning seasonal flowers. Much like locally sourced Jersey Royals and Bramley apples, there is no point in forcing British produce. They are here when they want to be (or rather when the right conditions allow) and then they take their leave when the seasons change. 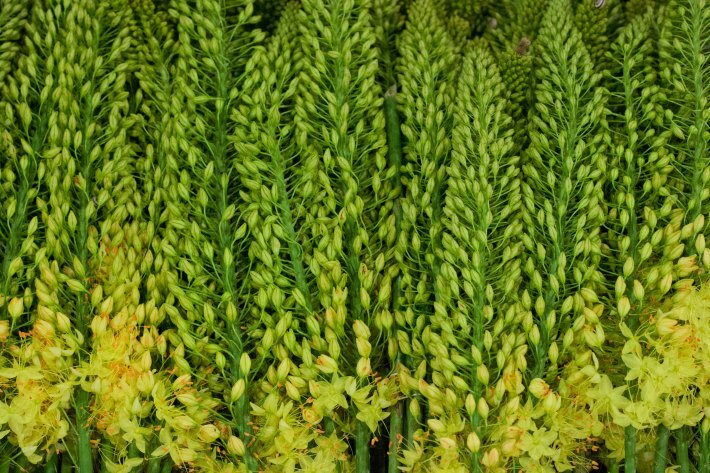 There is something quite special about savoring these luxurious, vivid and scented blooms whilst they are in season and then eagerly anticipating their return when they are gone. Packaging: Some of our fondest memories stem from unpacking the beautiful crisp white boxes filled to bursting with the most exciting colours, tastes (don’t ask!) and textures. 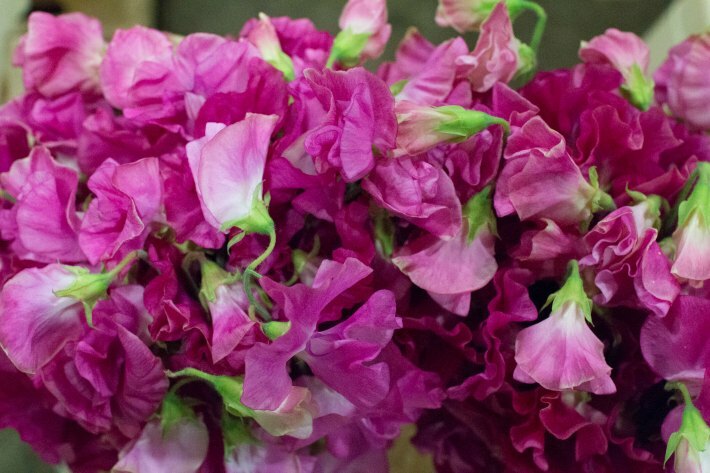 Time Travel: The unique scents of each of these blooms invokes an incredible sense of nostalgia and has the power to take us right back to our youth; playing in gardens or picking roses and sweet peas. Talking: These seasonal blooms have also sparked some great conversations whilst we have been installing them. 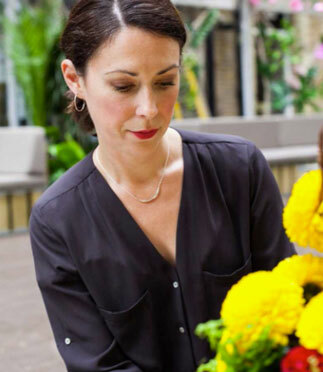 From fellow florists to delighted clients, it is an immensely fulfilling process to swap stories about our individual experiences with these familiar flowers. 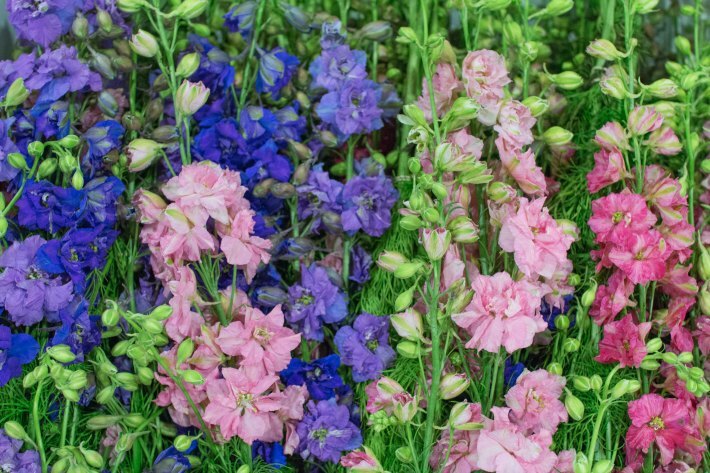 Another benefit of British blooms is how well they complement international floral varieties. 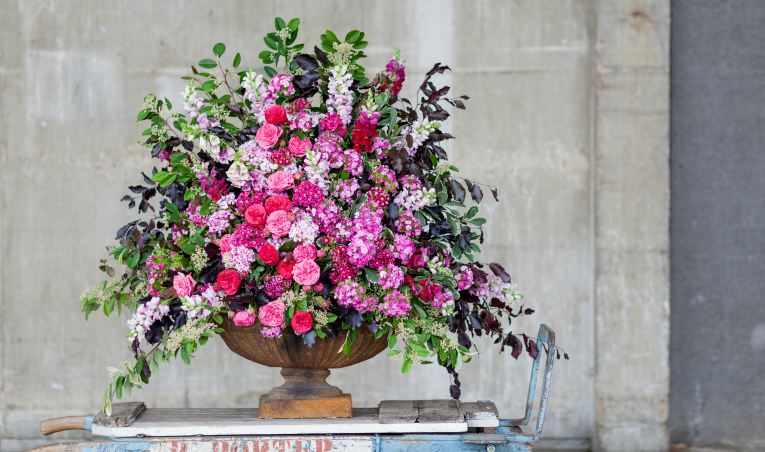 We could never be without our trusty and varied Dutch flowers or flamboyant and vibrant Italian varieties, the chance to mix British flowers with their European cousins opens up a whole new world of opportunities to create some eye-catching floral arrangements! 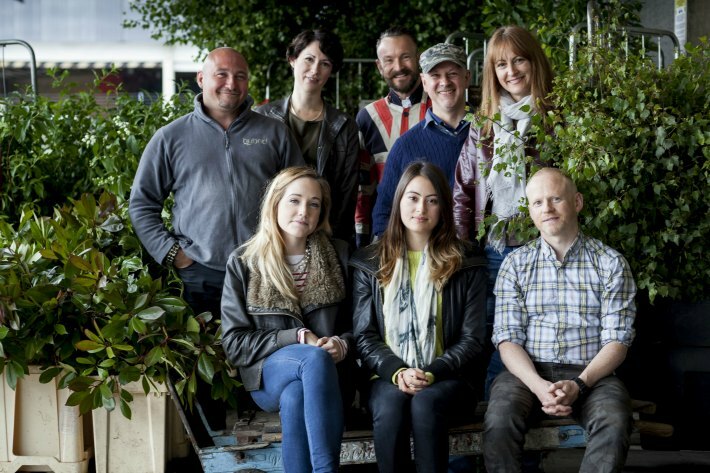 What does the future hold for British flowers? I was wondering if you could help me. I am organizing an event for my client…This will be one long table with approx. 25 x guests. I would take your recommendation on how we should dress the table so any ideas are very much appreciated. We would like the designs to be very high-end looking. The group will be predominantly male and we are trying to really emphasize the best of British. This well-timed email answered our question; British flowers will always have their day in the sun as long as we keep offering them. 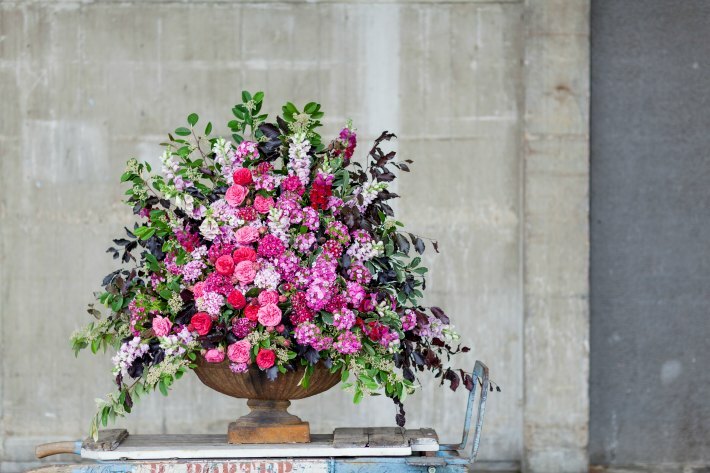 If we keep looking at what our wonderful growers and suppliers offer us, from the first violets of the year to the last dahlias of the summer, then British flowers can continue to take pride of place within all manner of fabulous floral arrangements. And this will only happen if we keep offering these brilliant British blooms to our clients. 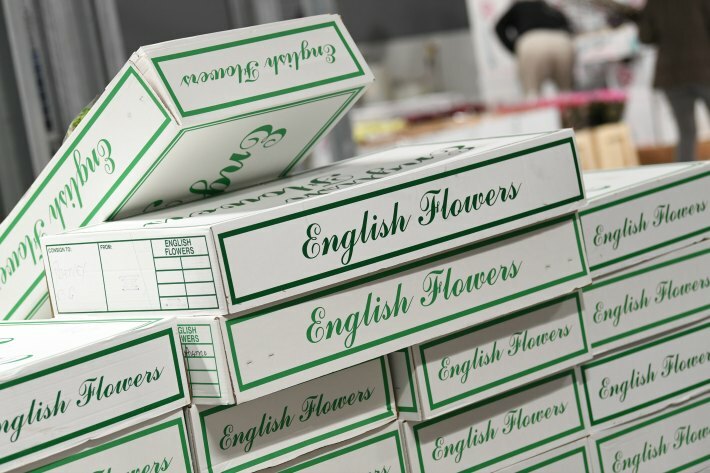 If we put our faith into these fantastic British floral varieties then our clients will do so too. We have to trust that they will of course snap them up, just like Jersey Royals and Bramley apples, because they are the best.